After months of speculation and waiting (and hoarding of the Mortlach Flora and Fauna) the new whiskies from Mortlach are finally here. Well, the first one is – Mortlach Rare Old. 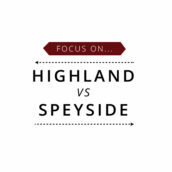 It’s the entry-level bottling for the new range, which will be completed by 18 and 25 year old whiskies as well as a travel retail exclusive, and is very much a statement of intent. 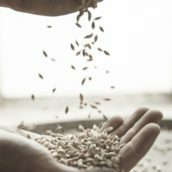 While most people’s only real exposure to Mortlach has been through the Flora and Fauna bottling, there’s a lot more to the distillery’s character than heavily sherried whisky. Mortlach uses a complex distillation process, where some of the spirit is distilled twice, some three times, and some maybe even four by some explanations, averaging out to ‘2.81 times’, as stated on the front of the new bottles. It’s similar to what they do at Springbank and Benrinnes, but even more involved and difficult to explain, with a third spirit still, called the Wee Witchie thanks to its pointy-hatted shape, adding a new level of complexity to an-already-difficult-to-understand process. Whatever the method, they end up with three styles of spirit – medium bodied; light and delicate; meaty and sulphury – which are mixed together before they fill their casks. The Rare Old takes the big sherry feel of the Flora and Fauna and tempers it with some lighter whisky to show more of the variation that we’ve seen in independent bottlings of Mortlach. It uses a combination of first-fill American and European oak casks, as well as some refill and rejuvenated casks, to give a glimpse at the spirit itself, as well as the cask character. Palate: Thick and oily, with dark chocolate, real maraschino cherries, dark wood, plump raisins, freshly sawn oak, spicy cinnamon (almost to Hot Tamale levels), liquorice and biscuits – garibaldi biscuits with cherry jam? Finish: Spicy cinnamon hangs around, with raisins, more cherry, toasted oak and a bit of barrel char. 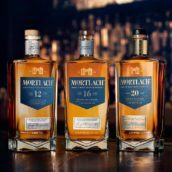 The Mortlach Rare Old is available from The Whisky Exchange now, and the 18 and 25 year olds will be appearing later in the year. @tweblog @cowfish Will it be available for tasting @TWEWhiskyShow ? @cowfish @twewhiskyshow @tweblog Great !!! 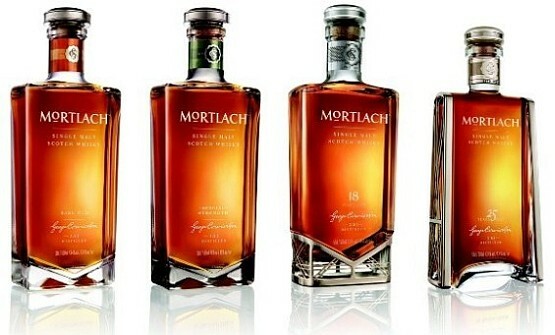 @TWEBlog @cowfish I assume one of the @Diageo_News booths at @TWEWhiskyShow will be Mortlach…. I love the packaging:) It’s beautiful! The Flora and Fauna bottling 16 is one of my favorite whiskies of all time.